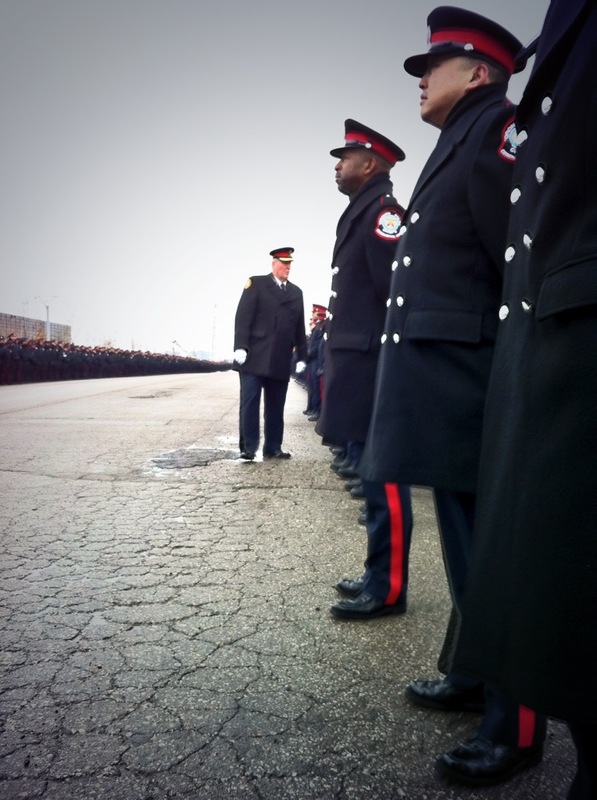 It was cold today, but thousands of officers still lined up in a processional and many marched to the Toronto Congress Centre for the funeral of Const. John Zivcic. Zivcic was killed after his cruiser struck another car. He was 34 years old. 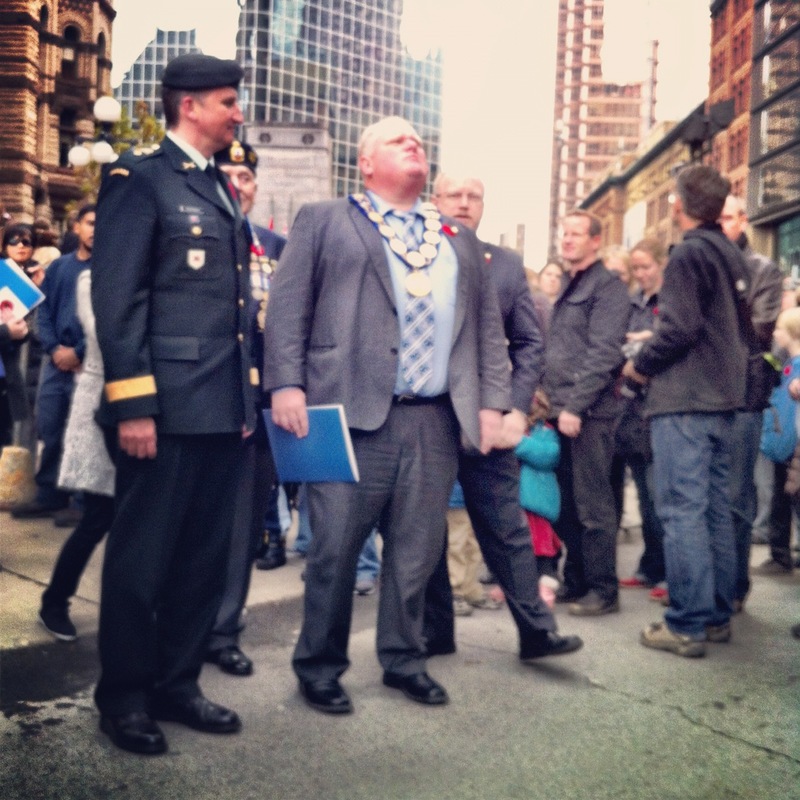 The funeral brought out all the dignitaries, including Chief Bill Blair, Premier Kathleen Wynne and Mayor Rob Ford. Lynda Webb, a retired nurse came from Pickering, Ont. for the funeral, despite not knowing Zivcic or his family. A couple of the officers from 14 Division I sat next to said it’s a hard part of their job to attend police funerals. I called into @Humber, after running to my car (quieter) and nearly giving myself an asthma attack for this story.